SHREVEPORT, LOUISIANA — Movement Mortgage, a top 10 national retail mortgage lender, has opened its first branch office in the Greater Shreveport/Bossier metro area with its new branch in Northeast Louisiana. The new Movement office is led by Rolanda Knight, a pillar in the Caddo Parish mortgage and residential real estate community. Knight brings her team to Movement, including loan officer assistant Amanda Martinez. Powered by an innovative loan process and refreshing corporate culture, Movement Mortgage has been recognized as one of the fastest-growing private mortgage banks in the U.S., and a six-time member of the Inc. 5000 list of America’s fastest growing companies. Movement believes real estate is a local business driven by individual agents and their local sphere of influence. The company has rapidly expanded nationwide by committing to upfront underwriting and seven-day processing goals, and investing millions of dollars back into communities through its nonprofit foundation. 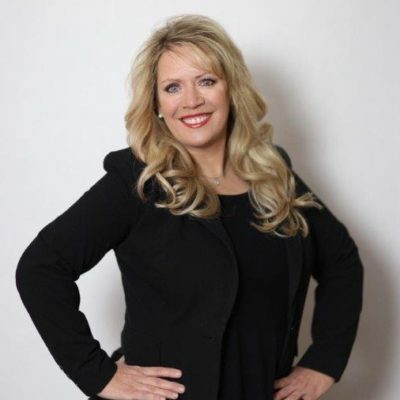 Knight has a degree in finance from Louisiana Tech and over 25 years of experience in the mortgage industry and she and her team specialize in home purchase financing and serving first-time homebuyers in Shreveport and Bossier City, Louisiana. Knight is an active member of the northwest Louisiana community, where she lives with her family, including her children, Hayden, Hillary and Hollan. She can be reached at rolanda.knight@movement.com. Movement Mortgage, a national top 10 retail mortgage lender, exists to love and value people by leading a Movement of Change in its industry, corporate culture and communities. Movement is best known for its innovative mortgage process and referable experience, which begins with Upfront Underwriting and a seven-day loan processing goal. The company, a certified Great Place to Work, employs more than 4,000 people, has more than 750 branches in the U.S. spanning across 47 states. Its nonprofit organization, The Movement Foundation, has reinvested more than $37 million in communities to date. For more information, visit www.movement.com.